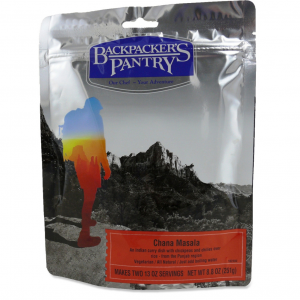 Satisfy your hunger with a hearty helping of Backpacker's Pantry Baco Cheddar mashed potatoes. Enjoy a wilderness feast with authentic rice noodles sourced from Thailand, spicy curry, sweet coconut, zesty vegetables and lean, all-natural freeze-dried beef. Backpacker's Pantry Chicken Piccata with Tagliatelle Pasta offers a light lemon-garlic sauce mixed with egg pasta, Parmesan, capers and all-natural chicken in a zesty twist on an Italian classic. Enjoy the spicy Backpacker's Pantry Chicken Vindaloo curry dish on your next outing.